We’d love your help. Let us know what’s wrong with this preview of Dream conversations by Muso Kokushi. To ask other readers questions about Dream conversations, please sign up. 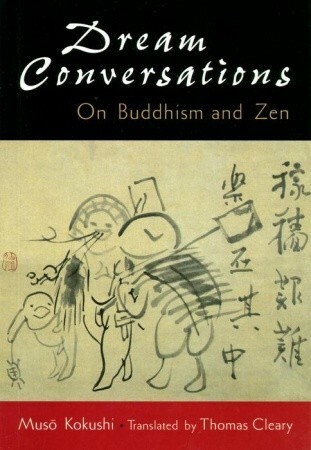 This is my first literal introduction to Zen. I loved the examples used in this book. No matter how long you boil sands, they won't turn into rice. You don't have to fight the second moon in the sky, which will disappear naturally when you remove the pressure off your eyes. Zen teaching is like a woman "calling the maid"; the real intent is not calling the maid for errands, but letting her secret man know she is in her chamber. I find them all confusing, and brilliant.